Erie, Pennsylvania; Erie, Pennsylvania; HMCS Oriole, the oldest commissioned vessel in the Royal Canadian Navy and based in Halifax, Nova Scotia; Pride of Baltimore, a reconstruction of a Baltimore Clipper from the War of 1812 era representing the people of Maryland; and STV St. Lawrence II, a Kingston, Ontario sail training brigantine operated by a crew of teen-agers. In addition to berthing on the waterfront, three of the two-masted tall ships will be available to leave port for either day or evening excursions: Appledore IV, a gaff schooner from Bay City, Michigan emphasizing environmental stewardship of the Great Lakes ecosystem; Appledore V, a companion schooner from Bay City also offering environmental science programs; and Spirit of Buffalo, the home port vessel host of this spectacular Buffalo waterfront event. Basil Port of Call: Buffalo is free and open to the public. To tour any or all of the tall ships, Passport Vouchers can be purchased at all participating Wegmans locations throughout WNY and online at www.PortOfCallBuffalo.org. In addition to the Basil Family Dealerships serving as Title Sponsor of the event, Wegmans Food Markets, Inc. is a Community Partner and exclusive retail ticket outlet. Other sponsors include: OneNiagara®, Parade of Sail Presenting Sponsor; Big Ditch Brewing Company, Official Sponsor; and Buffalo Yacht Club and Foundation, Boating Education Sponsor. The Margaret L. Wendt Foundation, the Oishei Foundation and the Charles and Ione Arrick Charitable Fund at the Community Foundation for Greater Buffalo have awarded planning grants. 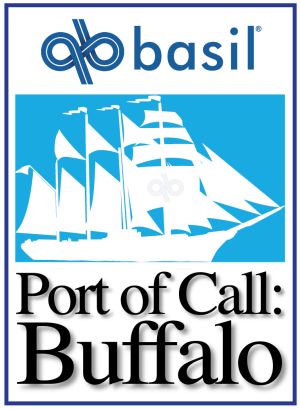 Basil Port of Call: Buffalo 2019 is produced by the Port of Call Buffalo Steering Committee, an organization of the Buffalo Lighthouse Association, in coordination with Tall Ships America’s® TALL SHIPS CHALLENGE® Great Lakes Series. The Buffalo Lighthouse Association was formed as a not-for-profit corporation in 1985 to restore and preserve Buffalo Harbor&apos;s historic lighthouses and interpret the city&apos;s maritime heritage. The Association has restored and relit the iconic 1833 lighthouse and operates Lighthouse Point as an historic site and owns and is restoring the 1903 South Buffalo Lighthouse at the other end of the harbor. 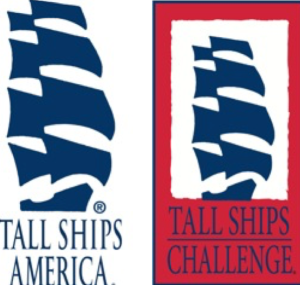 A nonprofit organization based in Newport, RI, Tall Ships America® coordinates gatherings of member vessels to promote their education, history and science curriculums with a mission to encourage character building through sail training, promote sail training to the North American public and support education under sail. Barque Picton Castle (Cook Islands) is a beautiful three-masted square-rigger currently on her seventh circumnavigation of the globe under Capt. Dan Moreland. The stately 179-foot steel vessel hails from Rarotonga in the Cook Islands, and is licensed to sail on long-distance deep water sail training voyages from an unofficial home port in Lunenburg, Nova Scotia. With masts to 100 feet tall, she spreads 12,450 square feet of sail and voyages with a crew of 12 and 40 sail trainees. A converted Welsh fishing trawler that served as a World War II British Navy minesweeper before Capt. Moreland rebuilt her as a sailing vessel, she will be berthed along the Riverwalk between the Buffalo and Erie County Naval and Military Park and the Erie Basin Marina. Denis Sullivan (U.S.) is a traditional Great Lakes topsail schooner of the type once common on the Great Lakes, She flies a triangular square-rigged tops’l on her 95-foot foremast, and carries students and the general public on educational day sails and private charters for Discovery World Ltd. of Milwaukee, WI. At 137 feet in length, the three-masted wooden schooner sails with a crew of 10 and offers programs on sailing, history, ecology, marine science and professional development for educators. Empire Sandy (Canada), at 203 feet, is the largest vessel in the Buffalo fleet. A three- masted schooner out of Toronto, she is a converted steel deep-sea salvage tug that saw service in the North Atlantic with the British Navy in World War II. Now a tern schooner – the name comes from the relative heights of her masts – she primarily does day sails, private cruises, weddings and corporate events on the Toronto Harbourfront. She is a hospitality ship able to seat more than 160 visitors for below-decks dining, or host 275 passengers on daysails. She has a crew of 25, and will be berthed along the Riverwalk. Nao Santa Maria (Spain) is a new replica of the Spanish three-masted deep water ship that was the flagship of Christopher Columbus’ exploration fleet. Built in the Spanish province of Huelva during the 525th anniversary of the 1492 voyage, she was launched on March 15, 2018 as part of the historic replica fleet of the Nao Victoria Foundation in Seville. A 95-foot nao, a centuries-old vessel type known in Britain as a carrack, she sails with a crew of 20 and will be berthed inside the Erie Basin Marina near the observation tower. Bluenose II (Canada) is a Canadian national symbol, depicted on stamps and her nation’s ten-cent coin. A replica of a legendarily fast Grand Banks fishing schooner, she is the tallest of the Buffalo fleet’s tall ships with a mainmast 130 feet high. Owned by the Province of Nova Scotia, the 181-foot two-masted wooden schooner sails from Lunenburg. She last visited Buffalo soon after her launching in 1963; rebuilt in 2012, she sails with a crew of 18. She will be berthed along the Riverwalk. US Brig Niagara (U.S.) is a reconstruction of Commodore Oliver Hazard Perry’s historic wooden flagship from the Battle of Lake Erie during the War of 1812, the US Brig Niagara hails from nearby Erie, PA and is a frequent visitor to Buffalo. Now a 198- foot sailing training vessel, the two-masted square-rigger has a rig height of 120 feet and sets 11,600 square of sail. She sails for the Commonwealth of Pennsylvania with a crew of 18 and 22 trainees as young as 16, on voyages of experiential learning. She will be berthed at Canalside. Pride of Baltimore II (U.S.) is a sailing ambassador for the State of Maryland, owned by a not-for-profit organization and supported by the Maryland Transportation Authority, which will be holding a reception aboard during her visit to Buffalo. A wood-hulled Baltimore clipper-style two-masted topsail schooner from the War of 1812 era, she is a 157-foot vessel with sharply-raked masts reaching 1107 feet high, and sails with a crew of 12 and up to 33 guests or trainees for historical education day sails. Launched in 1988 to replace the first Pride of Baltimore, she will be berthed at Canalside. STV St. Lawrence II (Canada) is a 72-foot steel two-masted brigantine operated by a crew of teen-agers for youth sail training programs by Brigantine Inc. Square-rigged on her foremast, the vessel is based in Kingston, Ontario and sails with six crew members and 18 trainees. She was one of the Canadian “triplets,” sister brigantines, brought to this port by the Buffalo Lighthouse Association in the 1980s. She will be berthed in the Erie Basin Marina. HMCS Oriole (Canada) is the oldest commissioned ship in the Royal Canadian Navy and also the longest serving commissioned ship. Now the sail training vessel of the Royal Canadian Navy, this sailing ketch is based at CFB Halifax in Halifax, Nova Scotia. It was originally built in 1921 as the flag ship for the Royal Canadian Yacht Club in Toronto and commissioned into the RCN in 1952. At a length of 108 feet, this vessel has a complement of one officer and five enlisted along with capacity for 18 trainees. Appledore IV (U.S.) is a steel-hulled 85-foot gaff schooner that will be one of three vessels offering day and evening sailing excursions during Basil Port of Call: Buffalo. Operated by Bay Sail of Bay City, Michigan, she offers sailing programs on Saginaw Bay with a strong emphasis on environmental stewardship. Operated by a crew of four, she can carry 48 passengers and will be berthed in the Erie Basin Marina. Appledore V (U.S.) is a steel-hulled 65-foot gaff schooner that also will offer sailing excursions for up to 24 passengers. Sailed by a crew of three, she also offers Science under Sail environmental science programs and Windward Bound sail training on Saginaw Bay. She also will be berthed in the Erie Basin Marina. Spirit of Buffalo (U.S.) is Buffalo’s flagship and the home-port vessel host of Basil Port of Call: Buffalo. Operating out of her normal berth in Canalside’s Commercial Slip, she too will offer sailaway excursions during the days and evenings of the festival. A 73- foot steel topsail schooner owned by Buffalo Sailing Adventures, she carries up to 42 passengers and her tanbark sails have graced the Buffalo waterfront since 2009. NOTE: Ship photos are also available as JPEG files, attached to this email.